Your wanderlust may push you to pack your bag, book an RV resort and start exploring the nature with lens and tripod, but you have to think about the little members of your family. If you are going alone, you are the king of your own kingdom and you can stay the way you want to, but when your children are accompanying you, you have to make sure that they enjoy the most. The RV resort in Grand Lake, OK, keeps the arrangements for the children as well. You can contact the resorts, but before, make yourself acquainted with the possible facilities your children can get there. Generally, the RV resorts arrange a spacious cabin for the families, especially when you are going to visit there with children. There are separate kids’ bunk and slides to enjoy inside the resort. Children always like spacious cabins as they can run and play over there without any restrictions. While lodging in Grand Lake, Oklahoma, make sure your children can be involved in several activities and don’t get bored. Here are some of those activities regardless of the season. Roughhouse in RV is one of the favorite games of the children. There are several activities under the roughhouse games and kids enjoy these most when they are on a vacation. 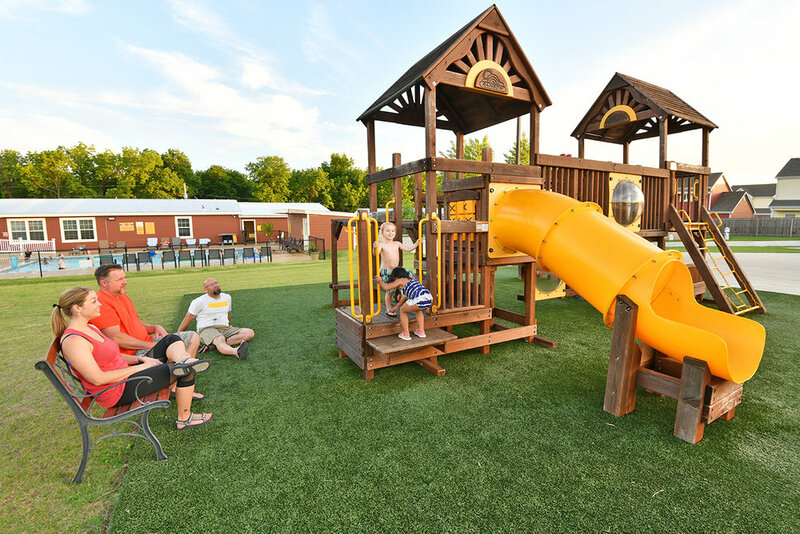 Under the supervision of the adults, you can let them play it, if there is enough garden space in the RV resort in Grand Lake, OK.
Not only you but your children as well love to watch the little things of nature. The plants, colorful flowers, little creatures draw their attention and they can spend a long day amidst of beauty of nature. It is indeed good for their mind and health. Inhaling fresh air, observing the greens, walking on the grass, watching butterflies, squirrels, woodpeckers, playing with rocks, shells, leaves and many others can improve the overall mental health of the children. Though fishing needs a lot of patience and skill, it is a fun activity for the children. They just like to be involved. With an adult one, they can visit the lake and can catch little fish with a hand net. It is a glory to them to bring a fish like a skilled fisherman. The added advantage of lodging in Grand Lake, Oklahoma, is the accessibility of the lake. You can take your family to the lake and practice canoeing. Not only your kids, but every member of your family would love this. The vast nature framed in the stagnant water of Grand Lake portrays mesmerizing scenery that would quench your wanderlust as well. If you are planning to go to Grand Lake in the next vacation, book cabin in an RV resort in Grand Lake, OK, in prior. Contact Monkey Island Resort & Cabins for all the facilities.